This is home to the completely revised and expanded 7th edition of Munich's most popular beer guide, The Beer Drinker's Guide to Munich. It's a field manual to the best the city has to offer. From Munich's massive beer gardens — seating for 8,000 — to its cavernous beerhalls, brewpub restaurants and late-night hotspots, a complete tour of the city is here for those who want to learn more about Munich and its beer. ALERT! : 2019 Frühlingsfest in Munich is April 25 - May 8. You are visiting Munich, and one of the reasons is you love beer. 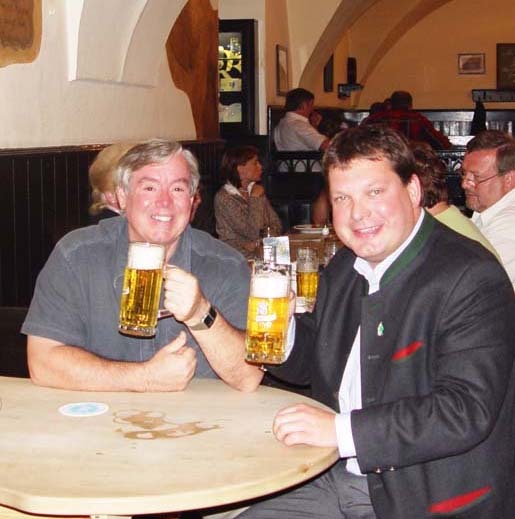 You've heard how good the beer is in Germany, especially in Munich, and you want to find out if it is true. You already have a Munich guide with museums, churches, restaurants, suggested hotels in every price range, and a lot of history about the city and sights to take in. Unfortunately, those guidebooks only touch on a few beerhalls and beer gardens, usually restricted to the city center, and nothing about suburbs and even daytrips that feature breweries, large beer gardens and plenty of beer. If our assumptions above are even close, you've come to the right place. Getting around with public transportation. 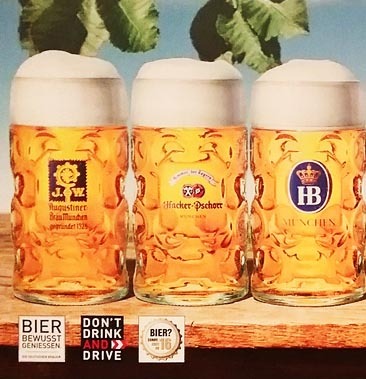 A complete introductory chapter will break you in easily so you can use the city's multi-tiered public transport system (U-bahns, S-bahns, buses and street cars) to reach each and every one of these beer oases with minimum effort and very little hassle. Personally hand-drawn maps from the POV of the person on foot make it easy to travel the last 100 meters (or less) without getting lost. The inside back cover of the book is a full-color map of Munich's comprehensive transit system. Beer. As we like to say, you know what you like, but you'd like to know a lot more about why that is. 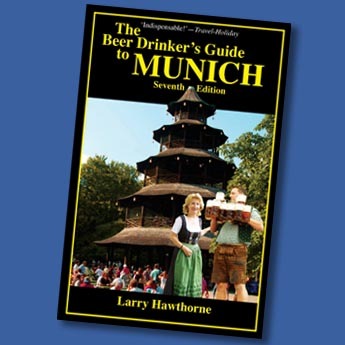 Here are several chapters devoted to Munich (and Germany's) beer styles and the "Big Six" primary Munich breweries that have been fermenting and serving the suds for some 800 years. Free Beer! No, that is not a typo. 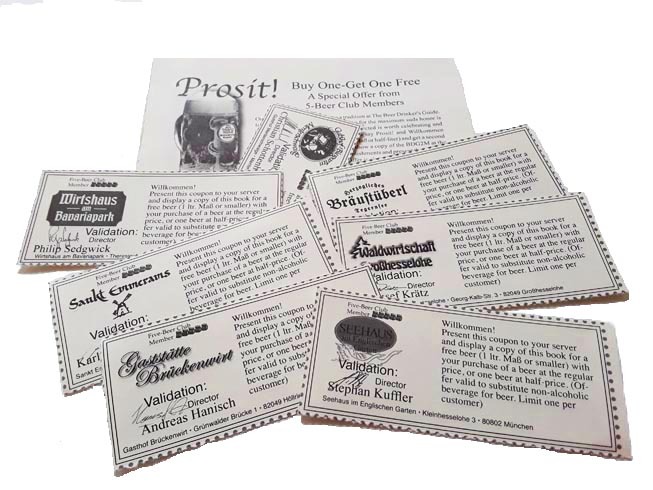 There are seven BOGO (you buy one, get another free) beer coupons in the back of the book. They are limited to only the BEST (5-beer rated) beer gardens in Munich. Use a couple, or even all seven to buy any size beer up to a liter, and you will easily be paid handsomely for having this book in your possession while you visit the best beer gardens Munich has to offer. If you must, you can use the coupon for sodas and soft drinks as well. Now, how good is that? Master Beer Map. This is a cross-referenced overlay of the transit map with beer garden and beerhall locations across Munich that are in the book. Proper Beer Drinker's Etiquette. Not exactly Emily Post, but we'll keep you from feeling like you've got a communicable disease when you rub elbows with seasoned German table-mates. The Beerhalls and Beer Gardens. The bulk of the book is dedicated to mini-chapters on more than 70 beerhalls, beer gardens and beer restaurants and pubs in and around Munich. Each establishment is featured along with its history, primary features like the beer served and seating, along with opening hours, addresses and phone numbers. And each has a map that will make certain you don't have to waste time finding them. "So many beer gardens, so little time" is not just our motto, it's what we try to recognize when we give you the best chance to see and enjoy as much of Munich's beer culture in the time you have to do it. Also, we rate each beer establishment on a 10-point scale (in half-beer increments) so you'll at least know which ones we feel are the best, and that can save you a ton of time as well. Day Trips. Farther afield, but here's a chance to visit three monastery breweries (one just across the border in Salzburg, Austria) and another suburban brewery in nearby Aying, as well as a lakeside brewery-pub in Tegernsee and a palace beer garden in, of all places, Dachau (yes, that Dachau). 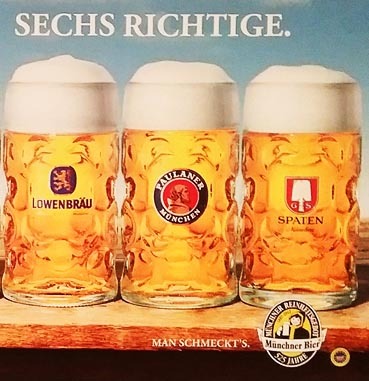 Six Munich brews have made the city famous: Augustiner, Hacker-Pschorr, Hofbräu, Löwenbräu, Paulaner and Spaten. 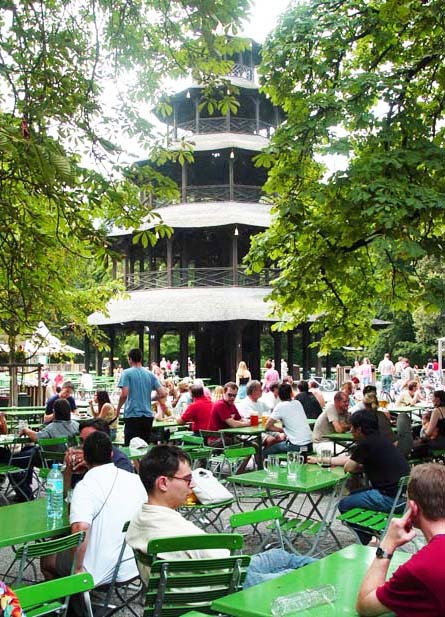 The Chinesischer Turm beer garden in the Englischer Garten, equivalent to Munich's Central Park, is the second largest in Munich, seating for 7,500. Beer Songs. 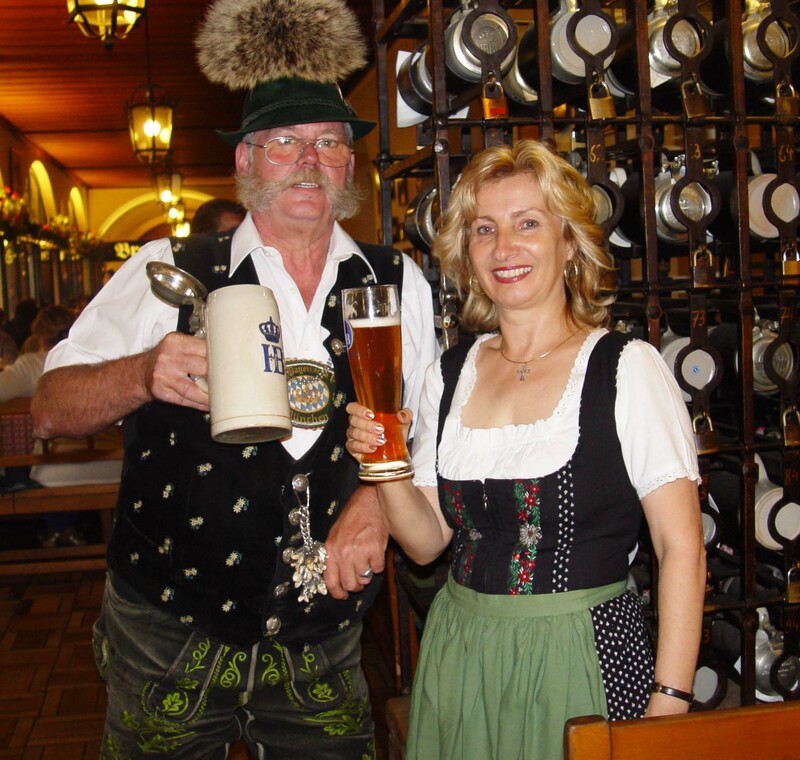 You'll likely come across an Ooompah band playing "Blaß Musik" at one point or another, so be prepared to find a few German lyrics to go along with the beer, just in case. Seven tear-out free-beer coupons in the back of the book pay you to carry it with you. Click HERE to watch a video on how they work. Oktoberfest and a Munich Fest Calendar. The book would not be complete without a complete discussion and information regarding the Oktoberfest. And we spend a full chapter doing just that. But there are other worthwhile nearby year-round Munich festivals mentioned here, listed in a 5-year fest calendar to pinpoint dates and places to enjoy a strong Munich tradition of local village celebrations (with plenty of beer, of course). After Hours. By midnight, most places are done for the night, but here are a few that burn the late-night oil, and serve the late-night beer while staying open to 4 or 5 in the morning. Lists, Glossary, Index. Lists of things and relationships, such as the biggest, cheapest, largest, best with kids, by the beer label they carry, or even "close to water" (the beer garden not the beer). 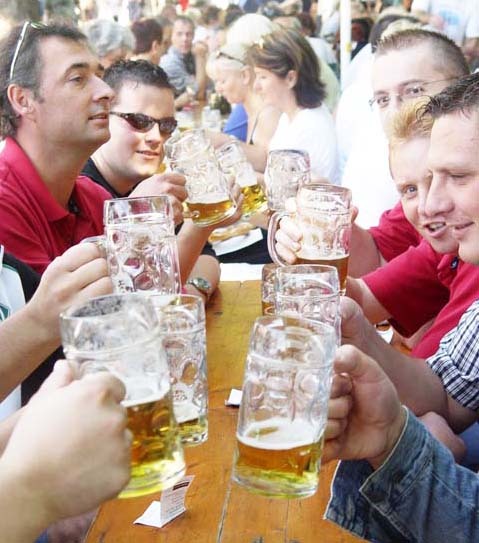 Glossary of common German terms under the category of beer and beer drinking. A full index to cross reference what is in the book and find things more easily.